The Asus ROG Rapture GT-AC5300 is incredibly expensive, but it brings together just about every feature you could want. 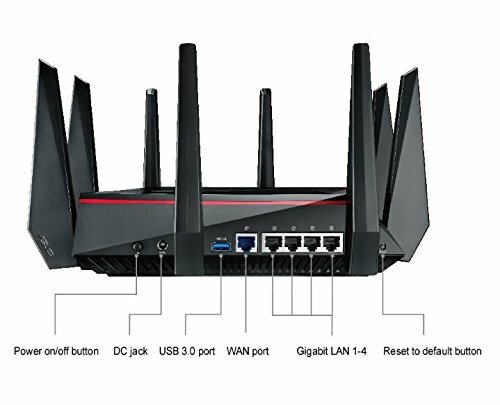 As well as the latest AC5300 Wi-Fi support, it includes eight Gigabit Ethernet ports, two USB ports, built-in lifetime protection against online threats and unique gaming features. It’s huge, measuring 245 x 245 x 65mm and weighing in at 1.8kg, and that’s not even accounting for its eight aerials. 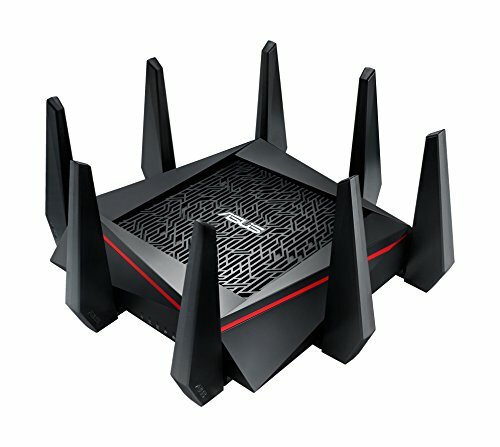 The pace of change in the Wi-Fi arena has slowed recently, so this router shares the same AC5300 Wi-Fi support as the older RT-AC5300 Instead, much of the recent progress has been in mesh router systems that use multiple nodes to distribute your Wifi signal, and merge the various Wi-Fi bands in into one SSID. The tri-band GT-AC5300 takes an old-school approach, though, with one 2.4GHz band and two 5GHz bands, each supporting four spatial streams for maximum speeds of 1,000Mb/sec and 2,167Mb/sec respectively. The intention is for users to manage each band individually, so that one can be prioritised for gaming. However, if you’d rather have an easier life, there’s a Smart Connect option to merge the bands into one SSID. Configured like this, it’s up to the router which band will connect to your hardware at any given moment. One of our complaints about the RT-AC5300 was that it only had four Gigabit Ethernet ports, but here you get eight, making it a much more complete high-end router. Two of these ports can also be ganged together to provide a single 2Gb/sec link, and two of them are also dedicated gaming ports. 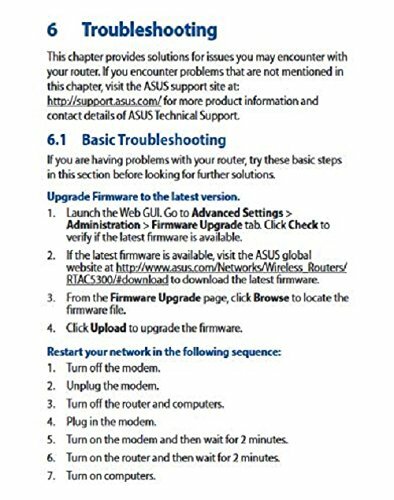 Connect your main PC or other priority hardware to these ports, and the router will always ensure they’re given priority over other devices. You also get two USB 3 ports that can be used for sharing printers and USB storage devices, and you can even connect a USB mobile internet dongle. 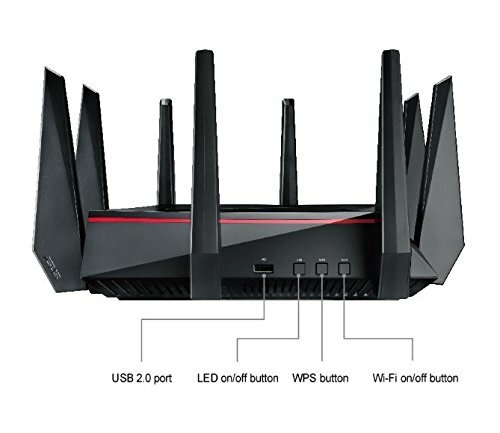 Other physical features include a full array of individual LEDs on the front for indicating the status of the router, and a power button, which saves having to unplug the router if you need to reset it. Meanwhile, the main gaming feature is called Game IPS, and it uses Trend Micro’s Intrusion Prevention System. This technology uses real-time networking monitoring to detect malware and other intrusions before they even get to the rest of your home network. Gaming traffic can also be optimised via the Game Profile feature, which is essentially an automated port forwarding service that lets you select games from a list and have the router automatically prioritise data packets from them. It can work as a WTFast client too, enabling you to get the benefit of low-latency WTFast for your whole home network. Asus really has left no stone unturned. The performance doesn’t disappoint either. At close range it delivered a blistering sustained throughput of 740Mb/sec. It works solidly at long range, hitting 360Mb/sec through one brick wall 5m away, and 270Mb/sec from 10m away between two brick walls. What’s more, it remained stable when installed as our main router for a week. 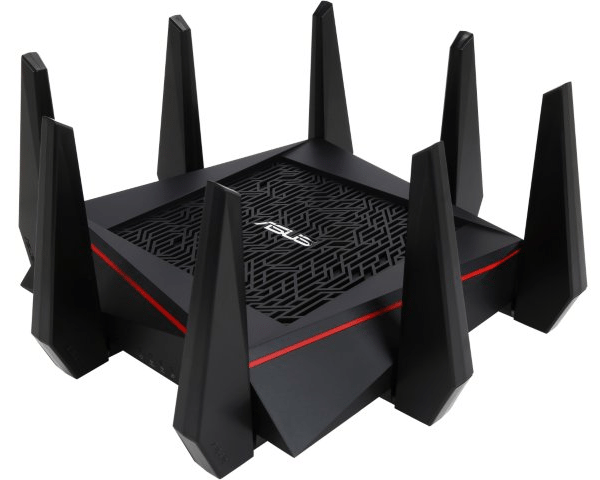 If you’re looking to upgrade your router just to get better Wifi coverage, there are cheaper single-router alternatives, while multi-node mesh router systems provide better coverage for large homes. 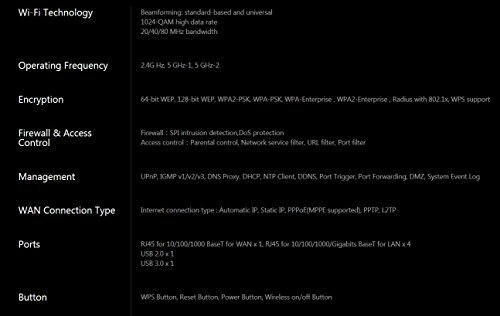 Most users will find the GT-AC5300 a bit much, but if you’re after the ultimate, feature-packed single router with the fastest speed possible, and you want to optimise it to your precise requirements, the GT-AC5300 is about as good as it gets. It’s very expensive, but the fantastic performance and colossal feature set combine to (just about) justify the price. 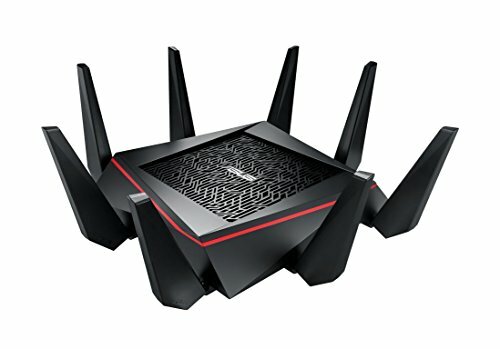 Class-leading performance and features largely justify this router’s incredibly high price.